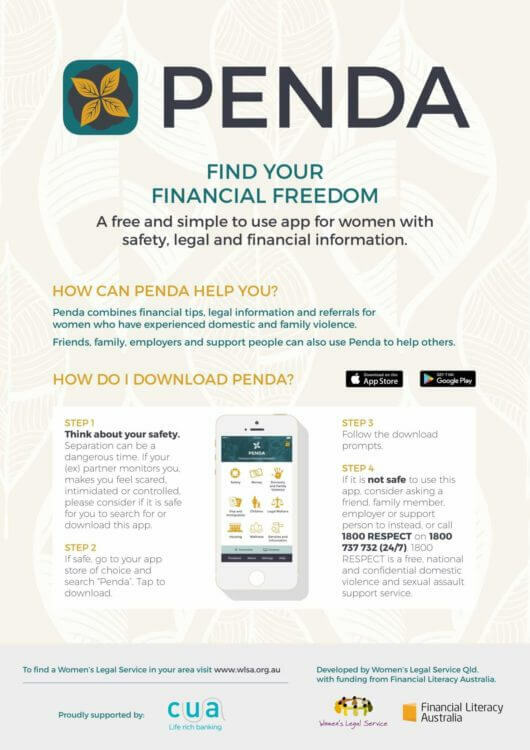 Penda is Australia’s first financial empowerment app for women with a domestic and family violence focus. 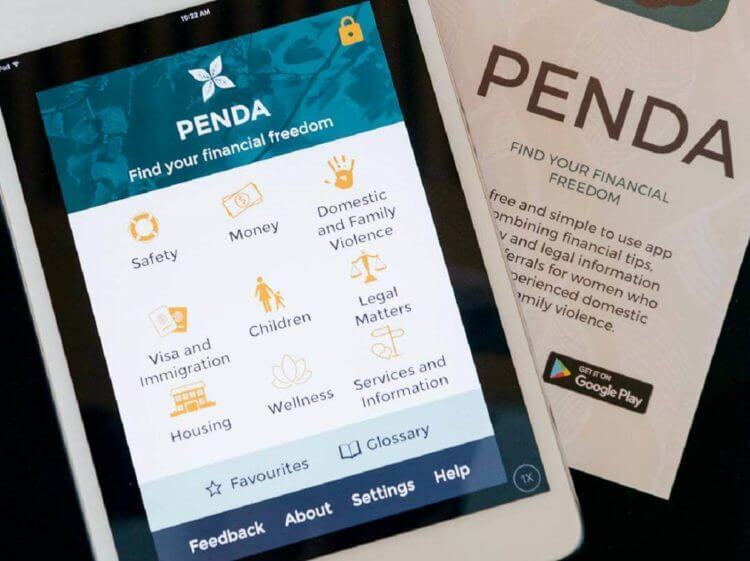 Penda is a free, simple to use app with national safety, financial and legal information and referrals. It has been tailored for intimate relationships but may still be relevant to other relationships, and women who are separating where domestic and family violence is not present. Penda is not intended to replace key services such as domestic violence support services, lawyers or the police but to increase users’ knowledge and connect them with services.